Summer is here – with a vengeance! 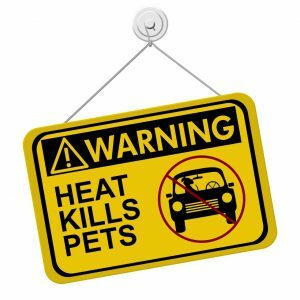 As temperatures reach almost 100° F this week, keeping a close eye on your furry pets is very important. SHADE AND WATER: Protect your pets from the sun’s rays and keep them hydrated. NO CARS: Never leave a pet in the car, not even with the window cracked. NO ASPHALT: If it’s too hot for bare feet, it’s too hot for bare paws. LIMIT EXERCISE: Don’t let playful pets over exert themselves in the heat. HEAT STROKE: Excessive panting, discolored gums, and mobility problems are signs. See veterinary attention immediately!